Have you watched that show on the Discovery Channel? I’m usually not one for “car” shows, but this is one my hubby likes to record that I actually enjoy watching too! Anywho, the phrase “fast and loud” came to mind when I was trying to figure out how to describe today’s cards. 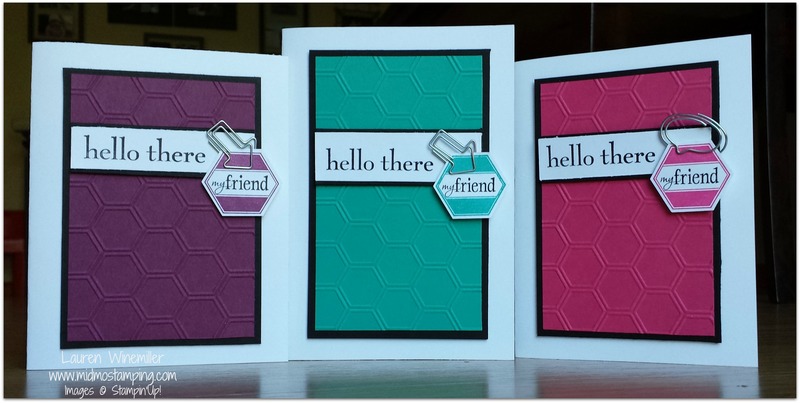 They were “fast” to create, and a little “loud” with the bold Rich Razzleberry, Bermuda Bay, & Melon Mambo colors. Cheesy, I know, but there ya go! 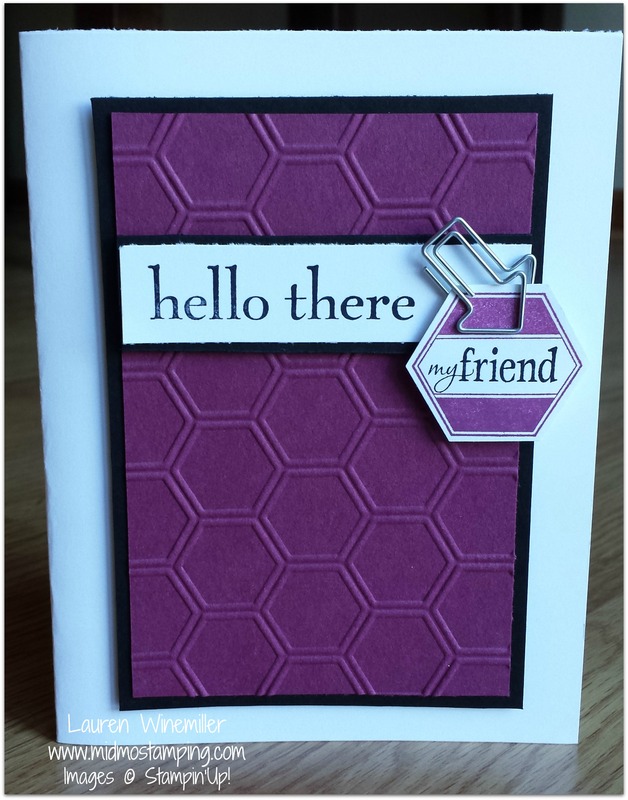 I loved the look of Darlene McCallum’s card, so I cased her idea but made a few changes to make it my own. 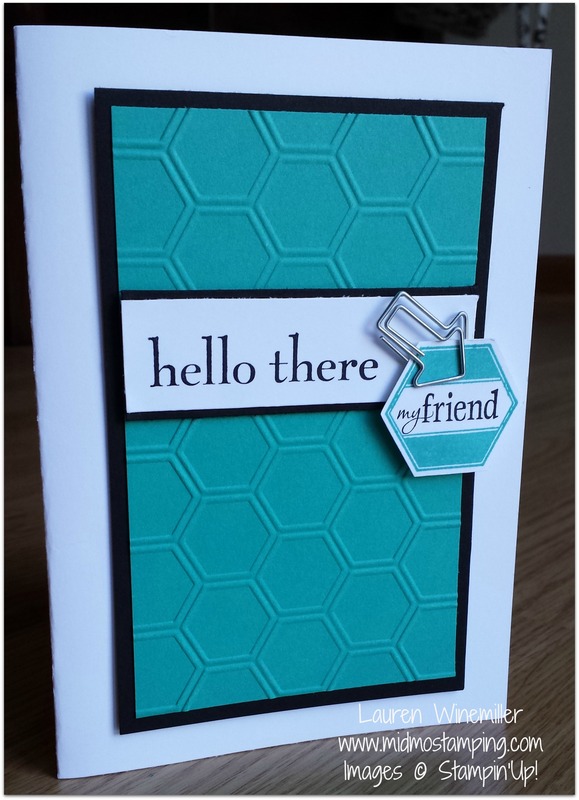 I used the greeting from Happy Day stamp set, as well as the Six-Sided Sampler Bundle (stamp set and punch). 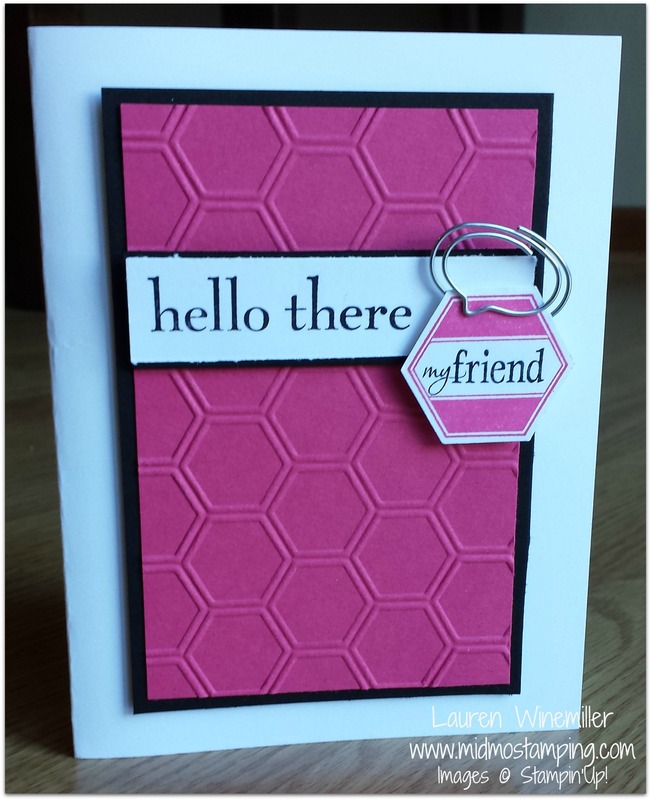 Finishing touches included the Honeycomb Embossing folder and the Hung Up Cute Clips. 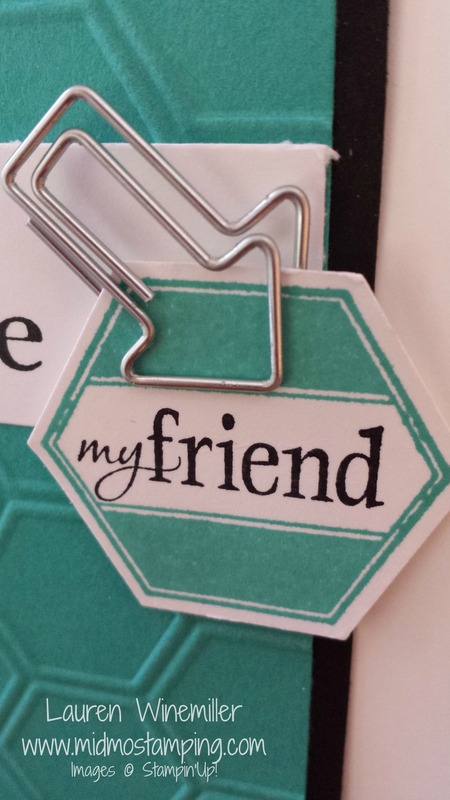 Cardstock and ink colors are Rich Razzleberry, Bermuda Bay, Melon Mambo. Black Stazon ink was used for the words. This card served two purposed: It was the third and final card from my Six-Sided Sampler Card Class (you can see the other cards Here and Here). This was also my card for this month’s Stamp Club Swap. Looking for a great gift idea? 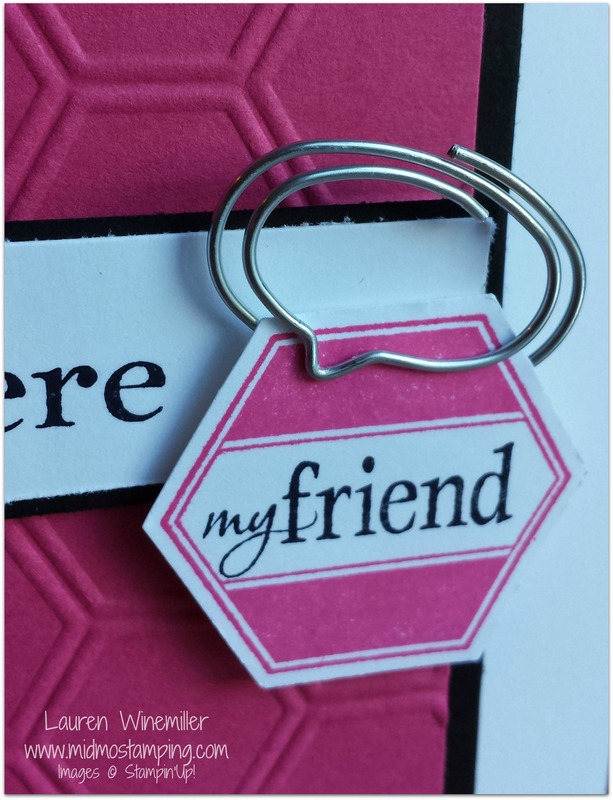 Whip up 6-10 of these cards (in a variety of colors) and package them up with envelopes. Makes the perfect gift set for any occasion!